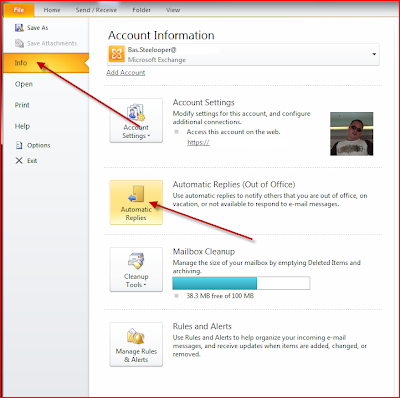 A lot of people ask me how to set the "Out Of Office" in the new and improved Outlook 2010. This is why I thought up to make a little how to. And here it is. 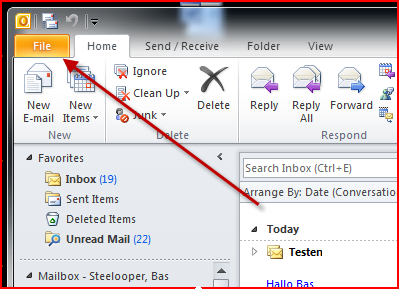 To set the Out of Office (Automatic Reply as is it is called now) you start Outlook 2010. 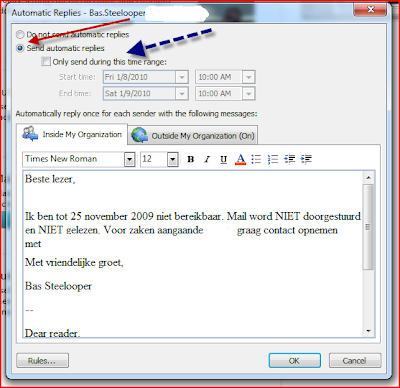 To do this select "Send automatic replies"
Optional: if only during a certain time frame this message must be send select "Only send during this time range:" and fill in the dates with times.